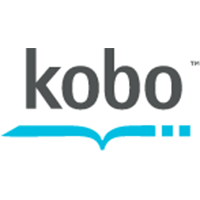 ● There are numerous active Kobo coupons offering 20-50% discounts on all orders. Similarly, there are title, category and publisher specific coupon codes which you can use to get savings. ● Kobo also has a Recently Reduced section that offers select titles at bargain prices. Shoppers can check this out and get discounts ranging from 15-40% on featured titles. ● Customers can also save on book bundles and box sets featuring various book genres. To check these items out, you can click on the Bundle Up link under the Recommended Reading section on the upper left side of the Kobo home page. By signing up for an account on the Kobo Books website, you will get a $5 credit that you can put towards downloads for your eReader. On the company's website you can take a look at their different electronic readers and the titles that you can download onto your device. You can also choose to create a free account just to see what they have to offer and then pay per title that you are interested in downloading. If you're searching for a specific electronic book, you can use the search bar and enter the title, author, series, or ISBN to find it easily. For most up to date offers check out Kobo Books on Facebook and Twitter or contact Kobo Books Support for any questions.